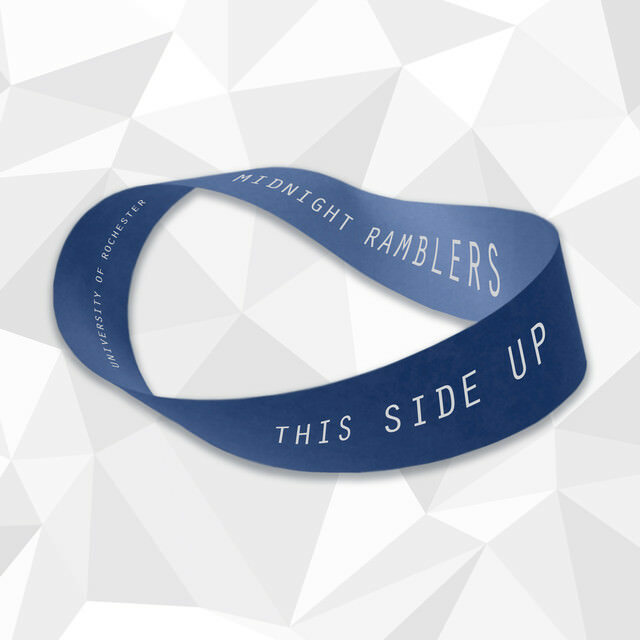 UR's Midnight Ramblers Drop New EP "This Side Up"
Over the years, the Midnight Ramblers of the University of Rochester have dished out plenty of hard hitting rock and pop music to warm receptions. But if we're speaking frankly, the momentum has shifted in a major way with the debut of their new EP "This Side Up." The six track EP features an assortment of popular songs from the last few years, which have all graced the Billboard charts at some time. The track listing includes Hey Mama, Only One, Hello, Death of a Bachelor, Closer and Rise. While the titles may sound familiar, the Ramblers' interpretation of these hits will leave you in awe as the group raises the bar on your perception of artistry. Both Hello and Closer are noticeable standouts with the former having a sultry reworking that will leave listeners fawning over the featured vocals, where the latter's vintage vibe feels absolutely reminiscent of music's golden years. Death of a Bachelor is sharp, classy and wonderfully appealing in every way and delivers the full musical experience with each vibrant and exciting note and percussive hit. This is a new class of Ramblers that are entertainers first and foremost and "This Side Up" is a testament to this. The EP is a bold statement of a new way of doing music and we are excited to be along for the ride. Listen to "This Side Up" on Spotify. Purchase "This Side Up" on Amazon and iTunes.